The new 2016 model year BMW ALPINA B6 xDrive Gran Coupe gains subtle BMW enhancements and benefits in particular from the results of continuous development by ALPINA. The four-door Gran Coupe, already widely recognized for aesthetic beauty and impressive driving performance, raises the benchmark with exciting new details. The new BMW ALPINA B6 xDrive Gran Coupe will become available to order starting in March 2015, with US deliveries slated to begin at BMW Centers in June. 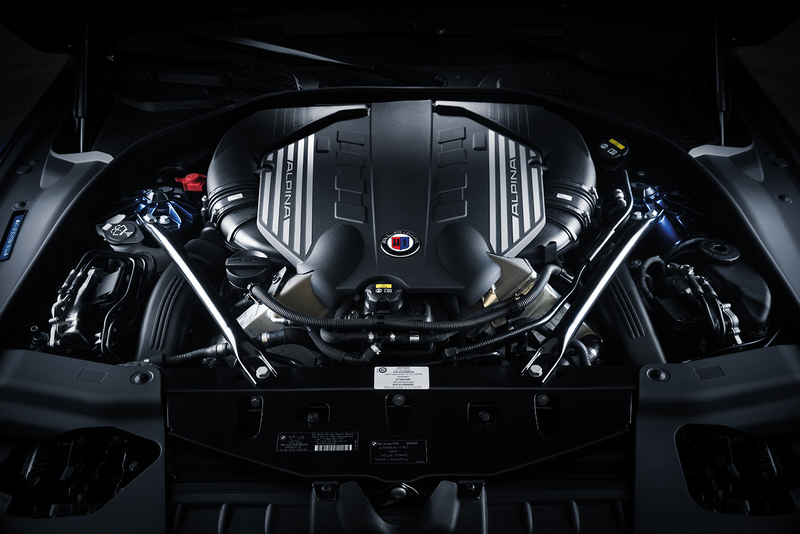 The 4.4 liter V8 Bi-Turbo V-8 engine – known amongst aficionados as the embodiment of power, torque and refinement – now delivers an astonishing 600 horsepower at 6,000 rpm and maximum torque of 590 lb-ft at only 3,500 rpm. The increase in output of 60 hp over the 2015 model has been achieved through extensive rework of the air intake ducting and air filter housing, with enhancements to the fuel supply system. Coupling the BMW xDrive intelligent all-wheel drive system with an ALPINA-developed performance calibration means the new B6 xDrive Gran Coupe delivers heroic straight-line performance. 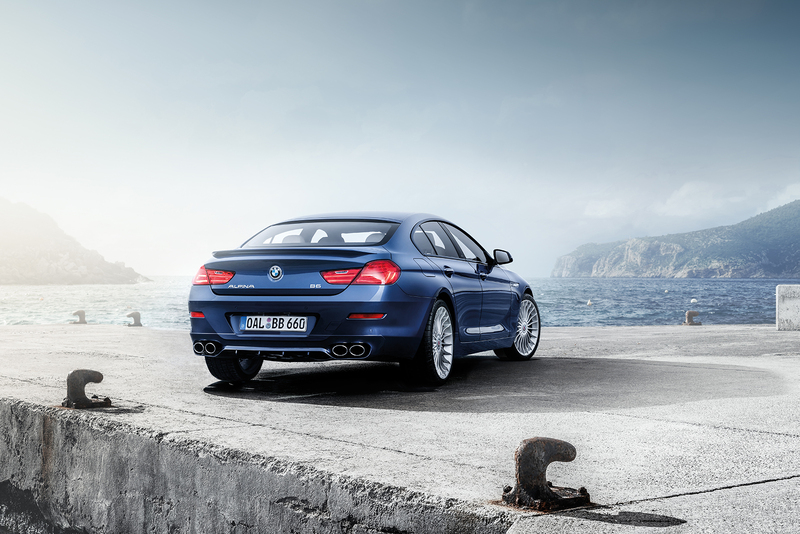 With a 0 – 60 mph acceleration time of only 3.6 seconds, it is the fastest-accelerating BMW ALPINA model ever developed. The new B6 xDrive Gran Coupe is capable of a maximum speed of 200 mph. The standard equipment level has been extended to include attractive features such as Full LED Adaptive Headlights with High Beam Assistant, and a discrete new B6 model designation in the B-pillar in high-gloss Shadow Line. 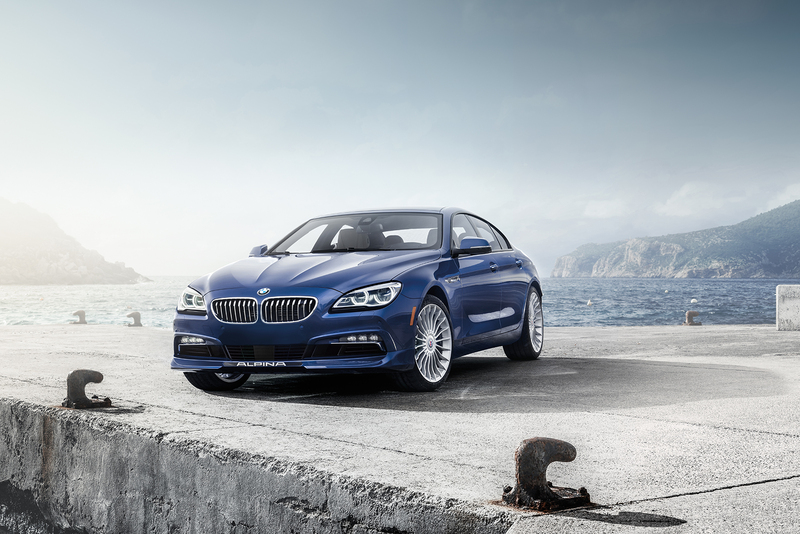 The BMW ALPINA B6 xDrive Gran Coupe is available as a special-order vehicle with capacity-limited production underscoring its exclusivity.